The 8-day long San Fermin Festival in Pamplona, Spain is the perfect mixture of tradition, celebration, and old-school entertainment. The Running of the Bulls is perhaps the closest thing to ancient Roman gladiator combats or medieval jousting tournaments that people can still witness today. Packed with edge of your seat excitement, plenty of delicioius food and sangria, and just the right amount of danger, Running of the Bulls offers visitors from around the world an unforgettable trip. With the constant flow of sangria and adrenaline, it can sometimes be easy to forget that runners could be hurt if not prepared. And even for those who opt out of running in favor of watching from a safe distance, the chaos of the event can be a bit overwhelming. 1. DO dress the part. DON’T look like a tourist. 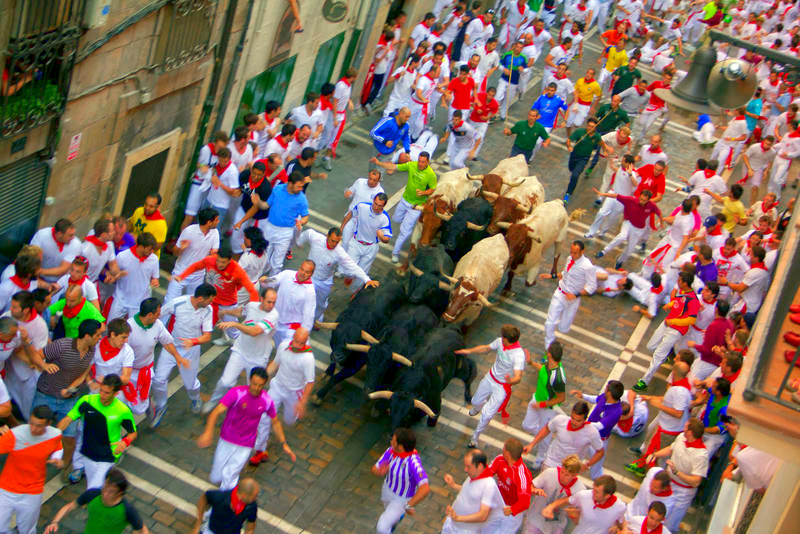 Running of the Bulls is a favorite for travelers because the celebrations consist of just as many locals as tourists. And since many people from the region attend the festivities year after year, it’s easy to pick the Pamplona pros out of the crowd. Of course, a big part of looking the part is dressing the part. Runners and spectators wear white cotton shirts and pants with a red scarf around their neck. But with all of the sangria that is (literally) being thrown around, we recommend packing more than one white outfit. 2. DO watch from a balcony. DON’T run if you’re not ready. Being chased by a several metric tons of beef is not for everybody. In fact, it’s not for the majority of the festival goers, most of whom watch the run from the safety of an overlooking balcony. We highly recommend against running the course unless you are fit, capable, and also a bit crazy. Runners should also brush up on the best practices for the course. But keep in mind that there is plenty of fun to be had as a spectator, so nobody is missing out by cheering from a balcony. 3. DO train for the run. DON’T run without preparing. The course is about a 1/2 mile long. If running with the bulls is something you’re set on doing before you die, we highly recommend that you make sure you are capable of running further than this at a quick pace without stopping. The day of the run is not the day to finally decide you’re going to take up jogging. Plus, there are strictly enforced rules for the run that all participants should be aware of. 4. DO make a plan. DON’T assume you know. Of course any trip abroad should include some room for spontaneity, but at big festivals with huge crowds like Running of the Bulls, you should always settle on a plan with your group. The possibility of getting lost or separated is real, so travelers should always decide on a meeting point in case someone wanders off. Plus, plans help you see a whole lot more. There is a lot to see and do outside of the festival grounds that is worth penciling into your trip. Ask guides and locals for what they recommend, and make the time to go for it! 5. DO hydrate properly. DON’T run if drunk. Pamplona is hot in July, and Spain is not outfitted with air conditioning in the way that the States are. You are going to be hot and sweaty, and when you combine that with sangria and possibly running, it is super important that you always have water on hand. You’ll need to drink a lot more water than usual. We also want to extend a friendly reminder that sangria is not water. Don’t even think about running the route if you are drunk or hungover, something that breaks the rules of the festival. 6. DO wear running shoes. DON’T wear flip flops. Not only will you be removed by police if you try to run the route in flip flops, you’ll also look really dumb. If you plan on running with the bulls, pack your comfiest running shoes. Flip flops are best worn on the balconies, where a hooved animal that weighs over 2000 pounds can’t tread on your toes. 7. DO get a good night’s sleep. DON’T stay in the center of town. Staying where all the action is may sound like a great idea at first, but after 8 nights of sleep deprivation you may begin to regret it. Runners should definitely rest up well before the event, but even if you’re not running, ensuring that you sleep well helps you make the most out of your waking hours. Staying outside of the noisy downtown area of Pamplona will help you feel rested so that you can see more sites, run faster, drink more sangria, and eat more paella during the day. 8. DO plan for other events. DON’T come only for the run. 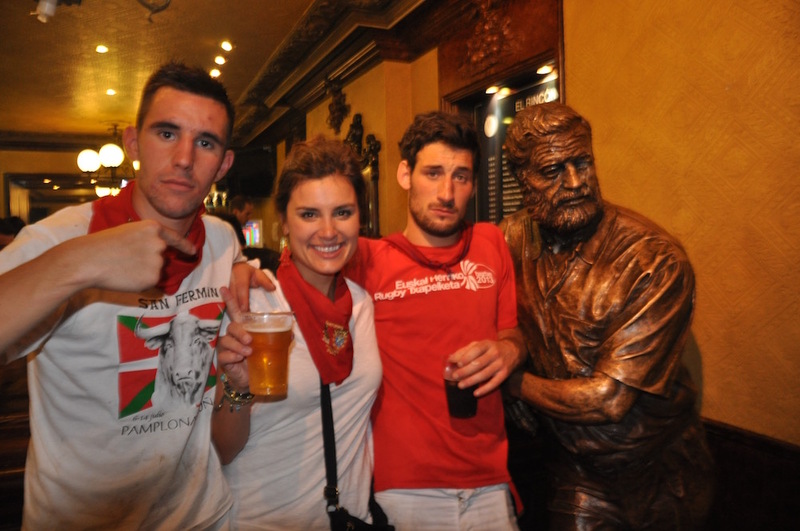 The run may be why you come in the first place, but there is so much more to do and see in Pamplona during San Fermin! There are over 400 events scheduled as part of the official celebrations, offering activities for the whole family. From concerts to matadors to kids activities, there’s too much going on to be able to do it all. Plus, Pamplona is filled with gorgeous cathedrals and museums, amazing food and drink, and some seriously beautiful nature. Plan your trip right and the bull run may not even be the most memorable part of your journey! 9. DO have the best festival ever. DON’T have any regrets. Cultural festivals like San Fermin offer a personal glimpse into centuries of tradition. You can’t go wrong if you arrive with an open mind and eagerness to participate. 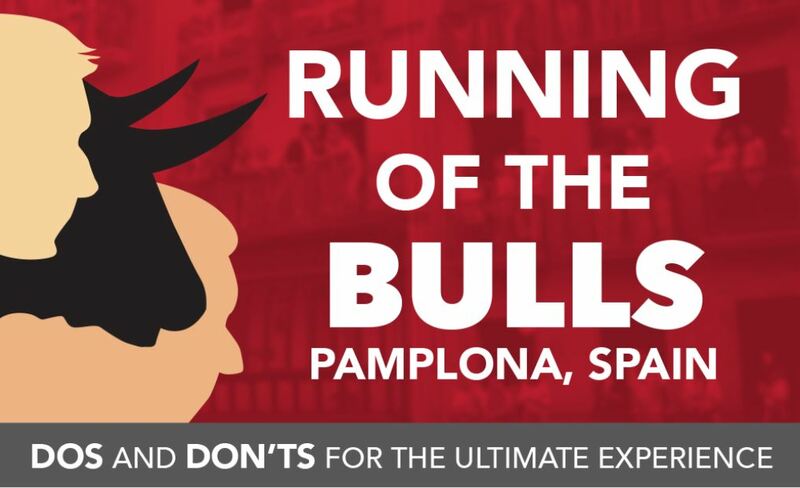 Whether or not you actually run with the bulls, you’re sure to encounter plenty of new and exciting opportunities during your time in Pamplona. Embrace them!